U.S. District Judge Derrick Watson is hearing arguments on whether to extend his temporary order until Hawaii's lawsuit works its way through the courts. 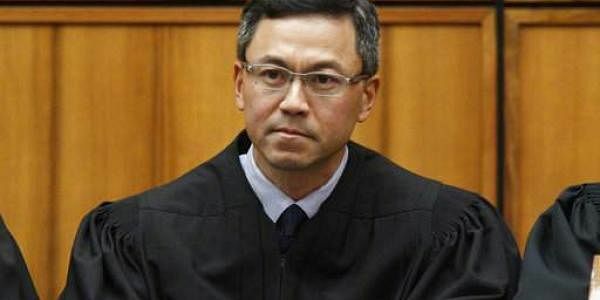 HONOLULU: A federal judge in Hawaii questioned government attorneys Wednesday who urged him to narrow his order blocking President Donald Trump's travel ban because suspending the nation's refugee program has no effect on the state. U.S. District Judge Derrick Watson is hearing arguments on whether to extend his temporary order until Hawaii's lawsuit works its way through the courts. Even if he does not issue a longer-lasting hold on the ban, his temporary block would stay in place until he rules otherwise. Department of Justice attorney Chad Readler, participating by telephone, asked Watson to be guided by narrower rulings blocking only the part of Trump's executive order that suspends new visas for people from six Muslim-majority countries. Hawaii has only made generalized concerns about effects to students and tourism, Readler said. Watson said the government only argued for the narrower interpretation after a federal judge in Maryland blocked the six-nation travel ban but not the suspension of the refugee program. That judge said it wasn't clear that the refugee freeze was similarly motivated by religious bias. "Is this a mathematical exercise that 20 isn't enough? ... What do I make of that?" the judge said. Readler replied that 20 is simply a small number of refugees. The Maryland ruling noted that national security is not the primary purpose of the travel ban as Trump claims, Hawaii Attorney General Douglas Chin countered. Constitutional harm exists regardless of the number of people affected or for how long, he said. The judge, nominated to the bench by former President Barack Obama in 2012, had agreed with Hawaii that the ban would hurt the state's tourism-dependent economy and that it discriminates based on nationality and religion. Trump called Watson's ruling an example of "unprecedented judicial overreach." Hawaii's ruling would not be directly affected by a decision siding with the federal government in the Maryland case, legal experts said. The 4th U.S. Circuit Court of Appeals has set a hearing for May 8 to consider the administration's appeal.